A brand is the expression of a firm’s central promise to its clients, stakeholders and employees. Leading professional services firms recognize that brand is more than the visual identity of their practice. It is what people think of your company and is informed by interactions, information and relationships they have with your company, both direct and indirect. An effective brand differentiates you from the competition, articulates why prospective clients and employees should choose you, and increases your perceived value to the marketplace. In professional services industries, competing is growing more difficult as competitive conditions marketplace change. It’s harder than ever before to create relationships with decision-makers. Access to people and information is tougher to get. And increasingly, professional purchasing managers are creating bidding processes that treat firms as interchangeable, generic service providers. And, brand is a critical element of attracting the right talent to your company. Savvy marketers know you can cut through those barriers when you actively define and communicate your brand promise to the market and consistently deliver on it. It’s not just communications and marketing. Think of design, production, client service, choice of projects, pricing, and business development as brand building activities, too. That gives you an idea about how powerful a brand can be in differentiating you from competitors and helping you win while competing on more than price. 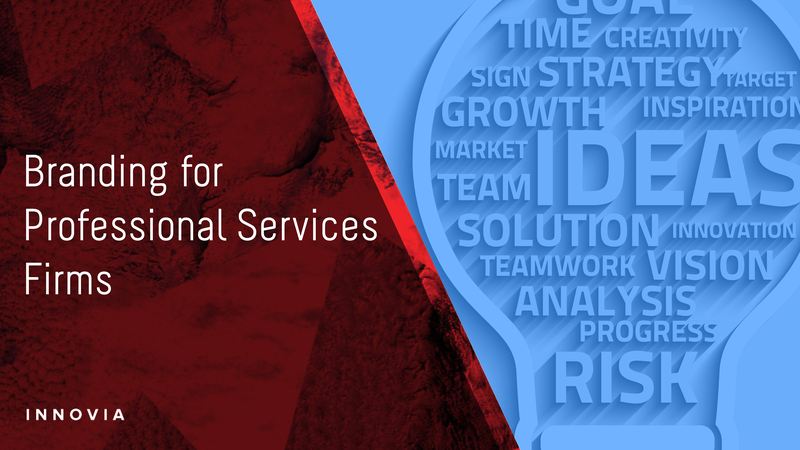 Professional services firms need to define their current and desired brand. What is the primary value they bring to clients? Are they exceptional with client service? Are their solutions above and beyond their competition? Or, are they priced competitively? This understanding should come from consultation with internal and external stakeholders to test assumptions against reality, and a visioning exercise to develop a benchmark for success. Once the brand goals are defined, the business needs to take an integrated approach to building brand and solidifying the firm’s position in the market.